A question continues to arise as to the timing of the moed called Passover or Pecach. Any time the issue of the calendar arises, so many challenges are raised as to the calculation of the day. One commentator has gone so far as to say that the establishment of the calendar can only be done by Jewish rabbis, and all other are disqualified from even raising an option. "Furthermore, we procured and gave orders that inquisition should be made in our aforementioned kingships and lordships, which as you know has for twelve years been made and is being made, and by many guilty persons have been discovered, as is very well known, and accordingly we are informed by the inquisitors and by other devout persons, ecclesiastical and secular, that great injury has resulted and still results, since the Christians have engaged in and continue to engage in social interaction and communication they have had means and ways they can to subvert and to steal faithful Christians from our holy Catholic faith and to separate them from it, and to draw them to themselves and subvert them to their own wicked belief and conviction, instructing them in the ceremonies and observances of their law, holding meetings at which they read and teach that which people must hold and believe according to their law, achieving that the Christians and their children be circumcised, and giving them books from which they may read their prayers and declaring to them the fasts that they must keep, and joining with them to read and teach them the history of their law, indicating to them the festivals before they occur, advising them of what in them they are to hold and observe, carrying to them and giving to them from their houses unleavened bread and meats ritually slaughtered, instructing them about the things from which they must refrain, as much in eating as in other things in order to observe their law, and persuading them as much as they can to hold and observe the law of Moses, convincing them that there is no other law or truth except for that one. This proved by many statements and confessions, both from these same Jews and from those who have been perverted and enticed by them, which has redounded to the great injury, detriment, and opprobrium of our holy Catholic faith." According to the decree, all of these things redounded to the great injury, detriment, and opprobrium of the holy Catholic faith. Well, maybe so. Of course, none of the teachings which are prohibited by this edict appear outside of scripture (such as those that may be found in the Mishnah of codified oral law), but which appear specifically in scripture. The Alhambra Decree pushed the catechism of the Catholic Church - which is ascriptural or anti-scriptural and in the case of the issues set forth above, antithetical to the words of the Sacred Scripture itself – at the point of the sword over the teaching of the Sacred Scriptures. The teaching here is as consistent as we can make it with the Sacred Scriptures, but undoubtedly violates the Alhambra (now since repealed), because these posts are intended to teach the timing of Pecach – a feast kept by the Messiah impeccably and whose observance is critically important to understand prophecy and the full meaning of the sacrifice of Mashiach. First, let us consider what Spain initially sought to protect. The practice of the Catholic Church has as its spring festival Easter (Ishtar) beginning with (by tradition) shrove Tuesday, or Mardi Gras (Fat Tuesday), which is the day of eating fat before the Lenten season (40 days) of fasting prior to the feast of Easter. Mardi Gras, or carnival, has now become another version of the feast of Saturnalia – a pagan ritual of decadence and deviance. 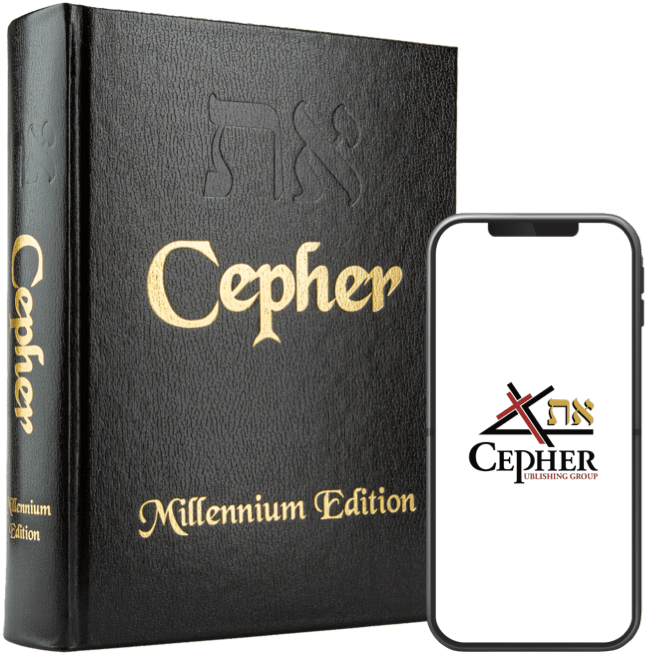 The 40 days of fasting and repentance stems from the practice of the Torah-keepers who began their preparation for Yom Kippur – the biblically mandated feast of atonement – 40 days prior to its arrival on the 10th day of the seventh month. The practice within the Catholic faith and its Protestant adherents (all those who practice Sunday worship) is to declare the Last Supper to have occurred on Thursday evening, the crucifixion on Friday afternoon, the placing of Mashiach in the tomb before sunset on Friday afternoon, and the visit to the tomb by Mary and Mary on early Sunday morning to discover that the body was gone. This places Mashiach in the tomb Friday night, all day Saturday, Saturday night, and gone on Sunday morning. If you count, you see two nights and one day. For as Yonah was three days and three nights in the fish’s belly; so shall the Son of Adam be three days and three nights in the heart of the earth. The Catholic prescription, having already denounced the Torah and the edicts therein governing the feasts, creates an articulation that is also directly opposed to the teaching of the gospel and the very words of HaMashiach, because the Catholic teaching and practice does not provide for three nights and three days in the heart of the earth, but rather only two nights and one day. One might want to ask which source is being used by the Catholic Church to create its feasts and schedules, and for the sake of your soul, get an answer. Let us then consider the feast of Pecach (Passover) and its accompanying feasts including Matstsah (Unleavened Bread) and Bikkoor (First Fruits), known collectively as the Spring Feasts, and referred to within the scriptures as the Latter Rain. These are the feasts of YAHUAH, even holy assemblies, which ye shall proclaim in their appointed times. 5 In the fourteenth day of the first month at evening is YAHUAH’S Pecach. 6 And on the fifteenth day of the same month is the Feast of Matstsah unto YAHUAH: seven days ye must eat matstsah. 7 In the first day ye shall have a holy assembly: ye shall do no servile work therein. 8 But ye shall offer an offering made by fire unto YAHUAH seven days: in the seventh day is a holy assembly: ye shall do no servile work therein. Here we have the word indicating that the feast is the feast of YAHUAH, not the feast of the Jews, who were merely one (or two or three depending on your modern view) of the twelve tribes and mixed multitude traveling with Moshe at that time. This verse attempts to spell out the feast’s timing. In the fourteenth day of the first month at evening is YAHUAH’S Pecach. This day is referred to in the gospels as the Day of Preparation (see Mattithyahu 27:62; Yahuchanon 19:42). It is not construed as a Sabbath day of rest. On the fifteenth day, the Feast of Matstsah begins (Unleavened Bread). The first day is declared to be a high Sabbath (chag), and the seventh day is declared to be a high Sabbath (chag). The feast, including the Pecach day of preparation, is then eight days. And in the fourteenth day of the first month is the Pecach of YAHUAH. 17 And in the fifteenth day of this month is the feast: seven days shall matstsah be eaten. 18 In the first day shall be a holy assembly; ye shall do no manner of servile work therein: 19 But ye shall offer a sacrifice made by fire for a burnt offering unto YAHUAH; two young bullocks, and one ram, and seven lambs of the first year: they shall be unto you without blemish: 20 And their meat offering shall be of flour mingled with oil: three tenth deals shall ye offer for a bullock, and two tenth deals for a ram; 21 A several tenth deal shall you offer for every lamb, throughout the seven lambs: 22 And one goat for a sin offering, to make an atonement for you. 23 Ye shall offer these beside the burnt offering in the morning, which is for a continual את eth-burnt offering. 24 After this manner ye shall offer daily, throughout the seven days, the meat of the sacrifice made by fire, of a sweet savour unto YAHUAH: it shall be offered beside the continual burnt offering, and his drink offering. 25 And on the seventh day ye shall have a holy assembly; ye shall do no servile work. And YAHUAH spoke unto Mosheh, saying, 10 Speak unto the children of Yisra’el, and say unto them, When ye are come into the land which I give unto you, and shall reap את eth-the harvest thereof, then ye shall bring את eth-a sheaf of the firstfruits of your harvest unto the priest: 11 And he shall wave את eth-the sheaf before YAHUAH, to be accepted for you: on the morrow after the Shabbat the priest shall wave it. 12 And ye shall offer that day when ye wave את eth-the sheaf and the lamb without blemish of the first year for a burnt offering unto YAHUAH. 13 And the meat offering thereof shall be two tenth deals of fine flour mingled with oil, an offering made by fire unto YAHUAH for a sweet savour: and the drink offering thereof shall be of wine, the fourth part of a hin. 14 And ye shall eat neither bread, nor parched grain, nor green ears, until the selfsame day that ye have brought את eth-an offering unto your ELOHIYM: it shall be a statute forever throughout your generations in all your dwellings. Following the regular Sabbath which occurs during the Feast of Matstsah, on the morrow after the Shabbat, the wave offering of firstfruits is given, which is also a high Sabbath. But, how do we know that this wave offering of firstfruits is to occur on the morrow after the Sabbath within the Feast of Matstsah? Because Vayiqra goes on to tell us so. And ye shall count unto you from the morrow after the Shabbat, from the day that ye brought את eth-the sheaf of the wave offering; seven Shabbathot shall be complete: 16 Even unto the morrow after the seventh Shabbat shall ye number fifty days; and ye shall offer a new meat offering unto YAHUAH. 17 Ye shall bring out of your habitations two wave loaves of two tenth deals: they shall be of fine flour; they shall be baken with leaven; they are the firstfruits unto YAHUAH. . . . 21 And ye shall proclaim on the selfsame day, that it may be a holy assembly unto you: ye shall do no servile work therein: it shall be a statute forever in all your dwellings throughout your generations. So this is the general schedule; yet, it does not reflect the two roving Sabbaths within this feast, which is the usual Sabbath on the seventh day of the week, and the feast of firstfruits (Bikoor), which happens on the morrow following the seventh day Sabbath.